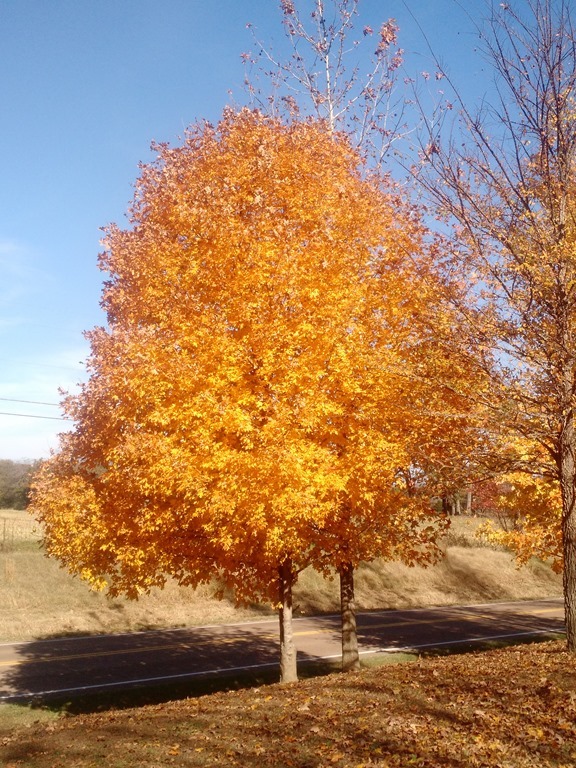 Fall finally arrived here at the homestead and the trees are starting to show their colors. 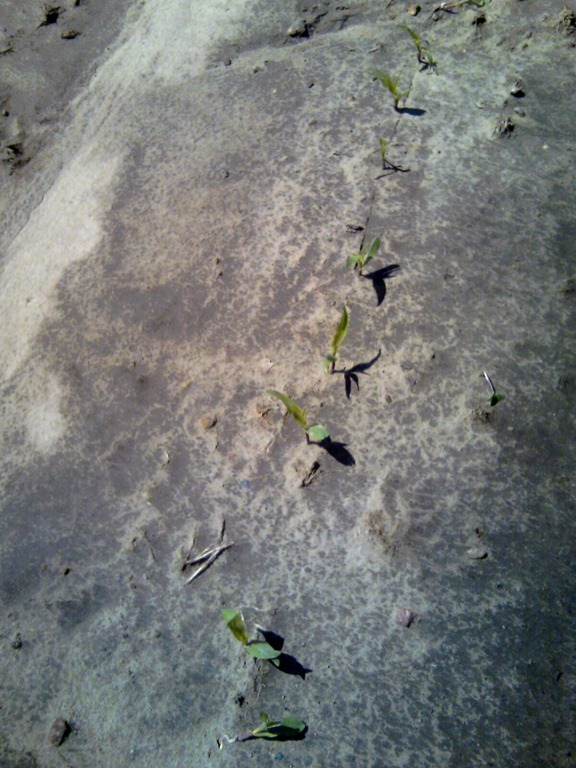 I planted an acre of greens in the back bottom right before we received an inch of rain and I got a tremendous emergence! I have more German Mustard, Florida Mustard, and Turnips than we could ever pick. Oh well, I am willing to share them with the deer and other wildlife. 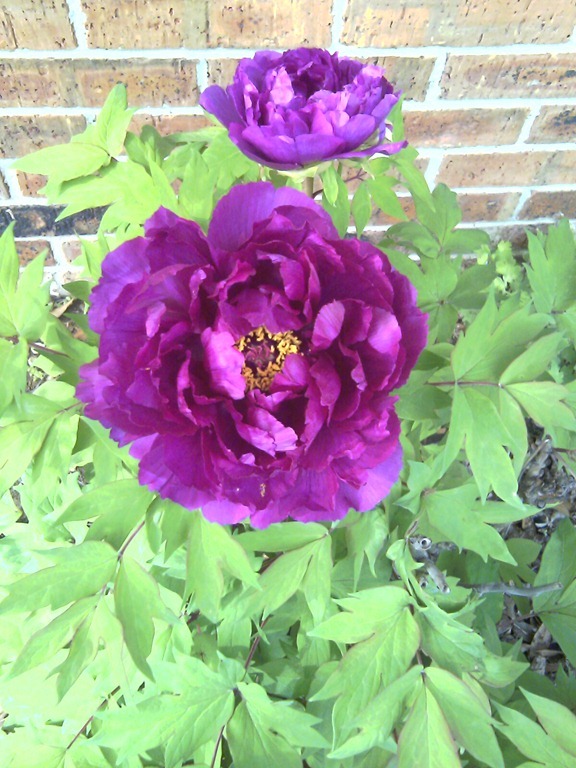 I still have some flowers blooming in the wildflower garden, but I don’t know what they are. The flowers look like cosmos, but some of them are 8 feet tall! 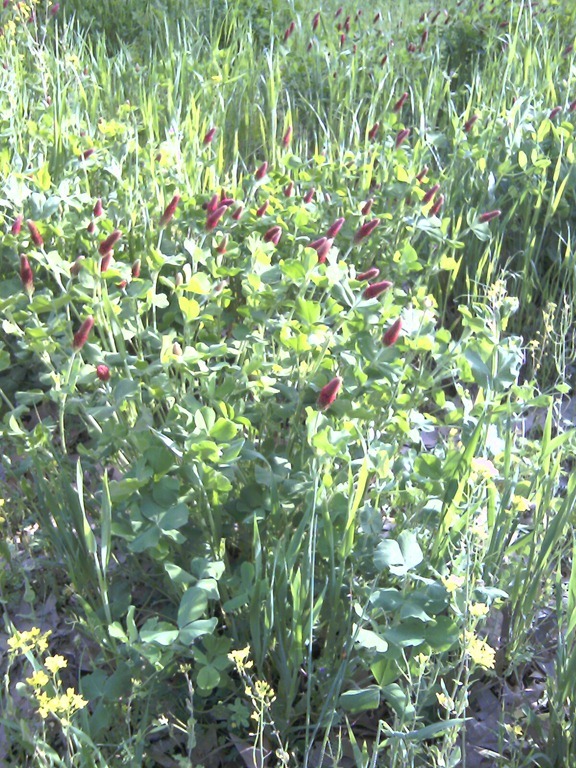 Hopefully, next Spring I will have a good emergence from the flowers I had this this Summer that went to seed. 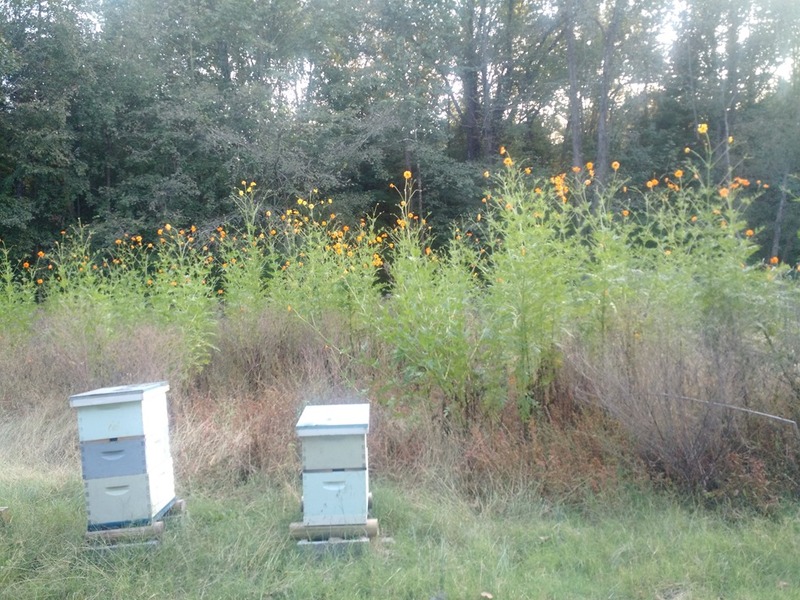 And yes, I know that bee hive is leaning badly, I will get out there and straighten it up today. Keep prepping everyone! I have been busy this past week due to planting season finally getting underway. 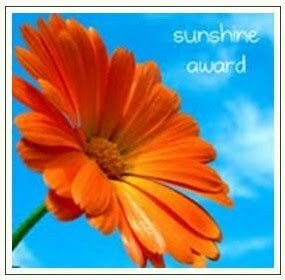 I am at the time of year I might work 30 days in a row without taking a day off. 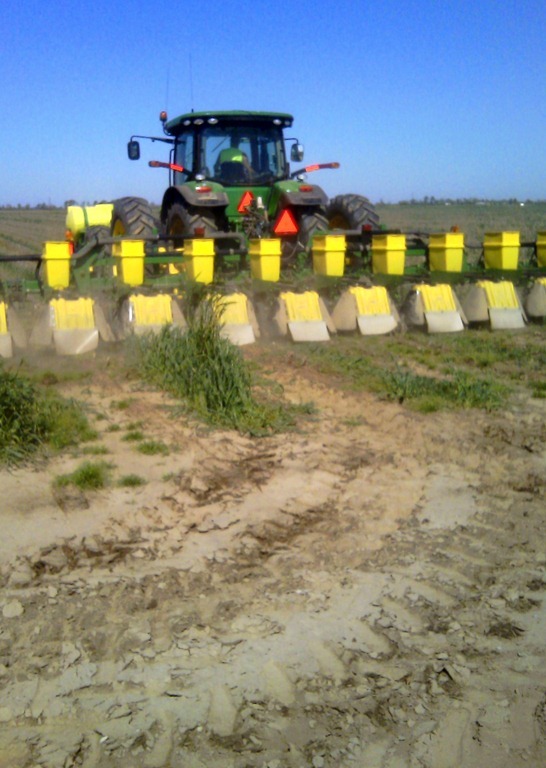 Cotton planting got underway last week, this is one of our plots where we put out 12 different varieties to test out. 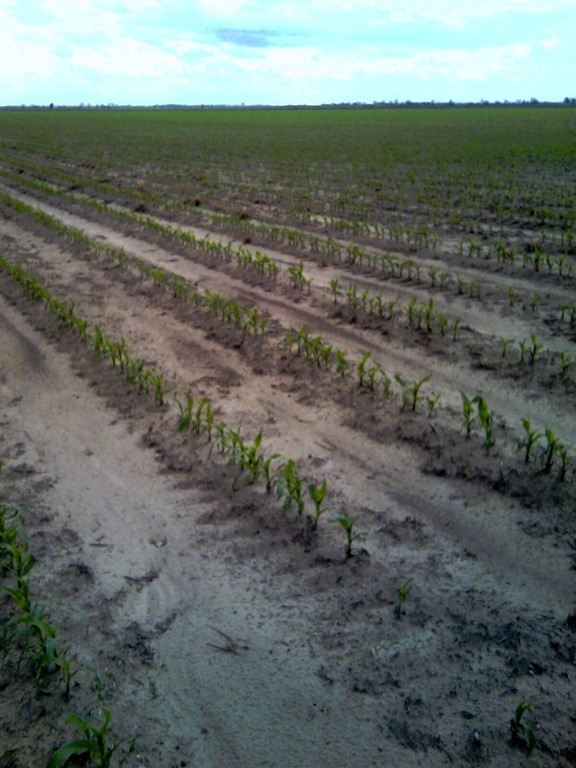 We have some corn planted to look at this year and most of it looks like this, pretty small and weak! This is about the biggest corn around. 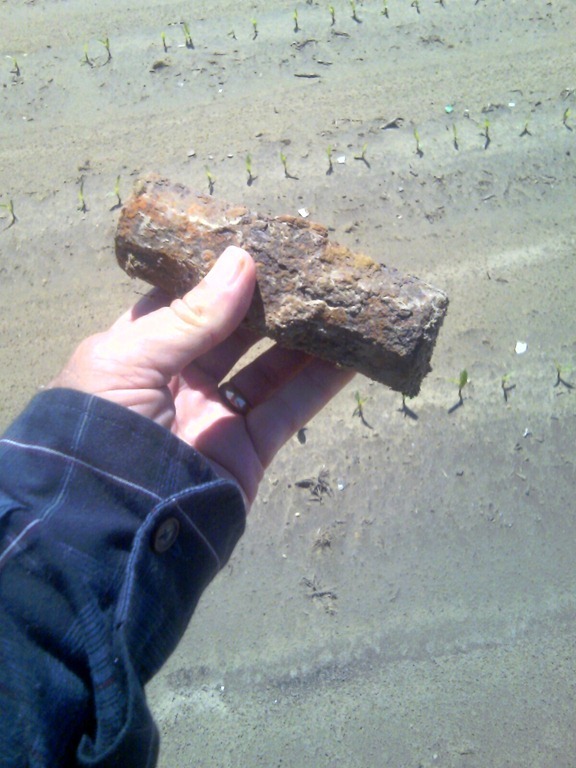 I found this old hammer head in the field. I mowed the grass again, but I left this big, tall cereal rye grass in the back. 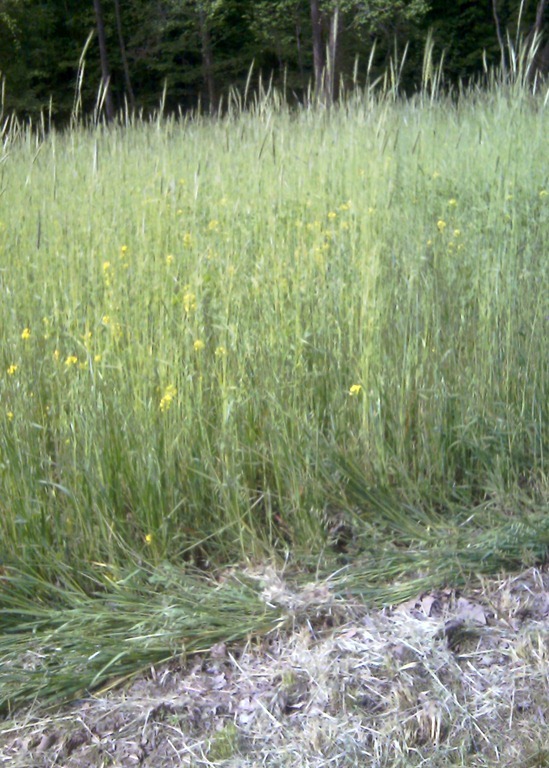 This is part of my deer browse I planted, and I am going to leave it until the rye goes to seed. Maybe it will come back next year. 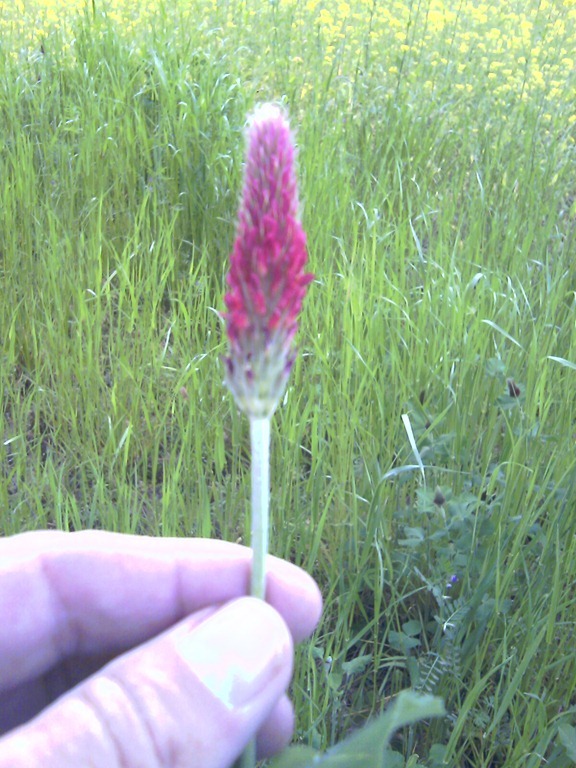 This is some crimson clover I didn’t mow. 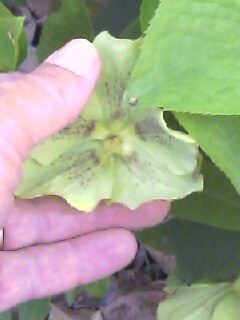 It came back naturally from the deer browse I planted last year. 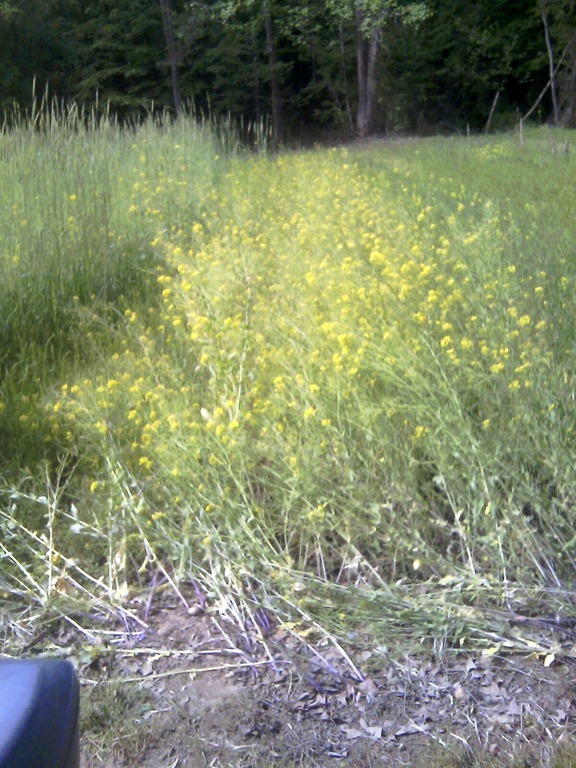 I saw some honey bees working these blooming turnips, so I waited to mow this strip as well. 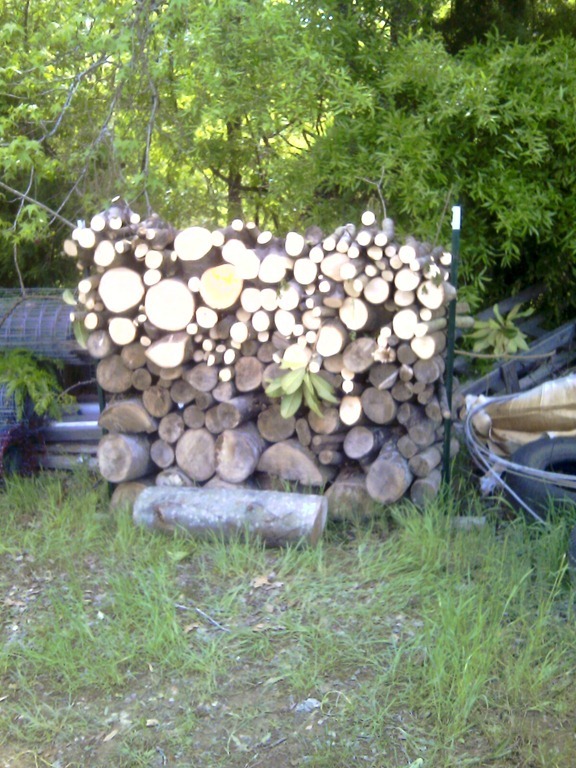 I cut up the Magnolia tree that the wind blew down in the neighbor’s yard and I added the green wood to my wood pile for burning this winter. Keep prepping everyone! The calendar says it is Spring and the trees are leafing out and the flowers are blooming but it sure is COLD! 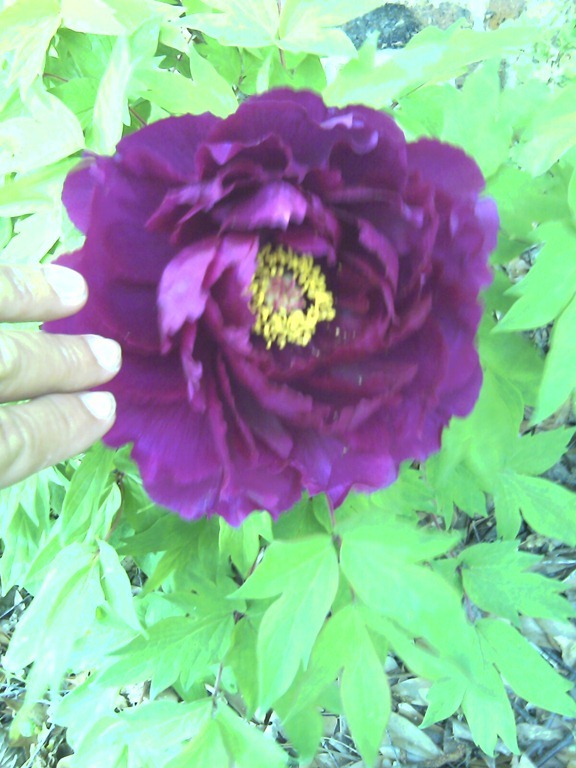 This is a bush Peony I planted at our old house. 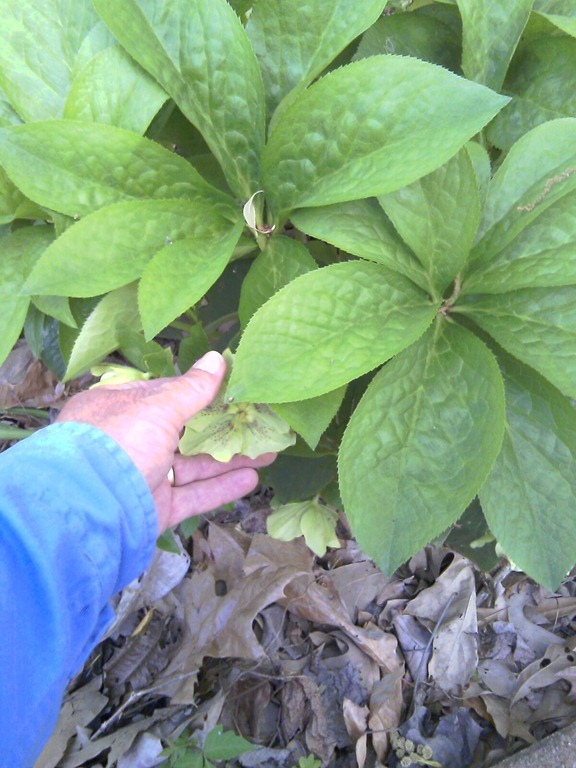 I forget the name of this plant but it is one of the few that will thrive in the shade. 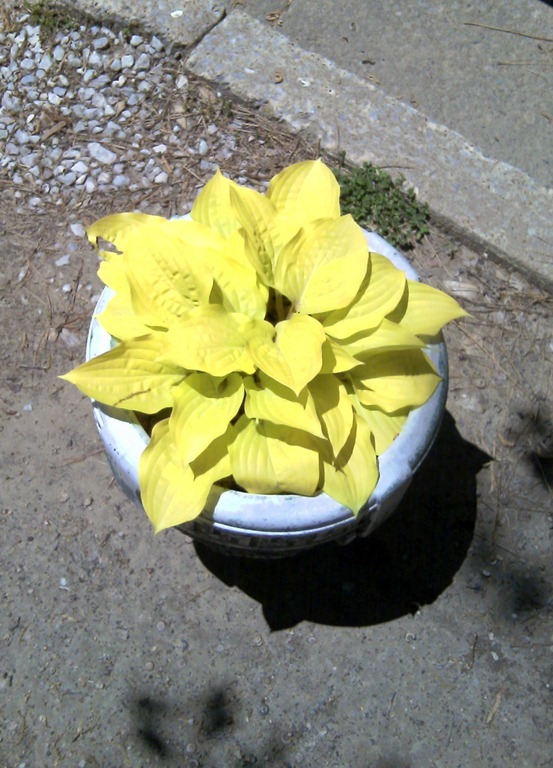 This is not a bloom on this Hosta , but look at that color! I bought this last year and it had just 4 little leaves but it was enough to give me a glimpse of that vivid yellow color. This really gives a splash of color in the deep shade garden. 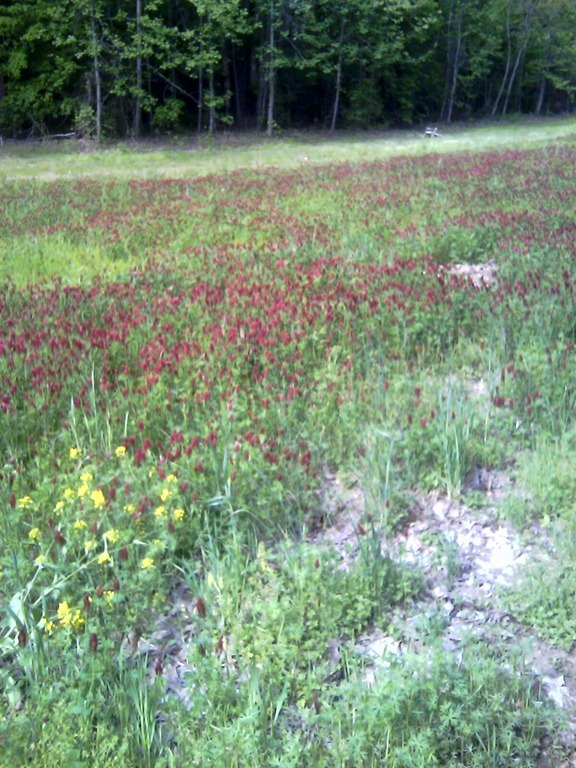 The crimson clover in the deer food plot is blooming. 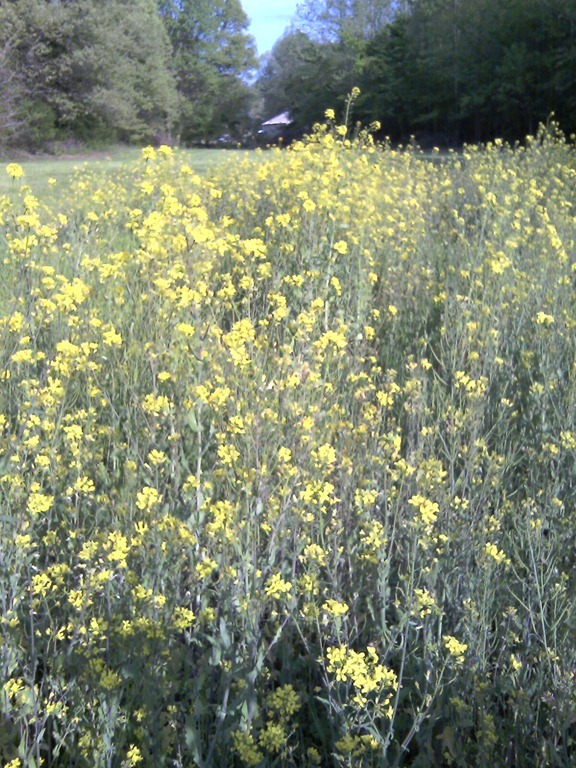 This is the turnip patch I planted last fall, it is blooming and going to seed. I may not have to plant any next fall, I may have enough volunteers to make enough to pick. But even with all these blooms, we had a frost advisory 2 nights ago. Oh well, maybe it will warm up soon. Back in November, we pulled some turnips from our patch at the homestead. We ate most of them, gave some away, but still had some left over. When we harvested them, we just pulled them and cut the tops off. The turnips have been in a Wal-Mart bag, just sitting out on the patio. I noticed they are growing leafy greens again. I wonder if I planted the roots in the ground, would they make enough greens to harvest and eat? Maybe if I planted them in a sunny location inside a cold-frame would that work? I wonder if they could be grown under a grow light in a hydroponic system? Hummm, just something to think about. Sweet Thing heard knocking on our back door and there was a lady from up in the neighborhood standing outside with a package in her hands. The lady asked does XXXX live here? Sweet Thing explained they lived next door and the lady said she had something for them, a freshly baked loaf of sourdough bread. Sweet Thing said she had just talked to them and they just left to go to church. The lady said well here, would you like this bread, I’ll bake them another loaf tomorrow. 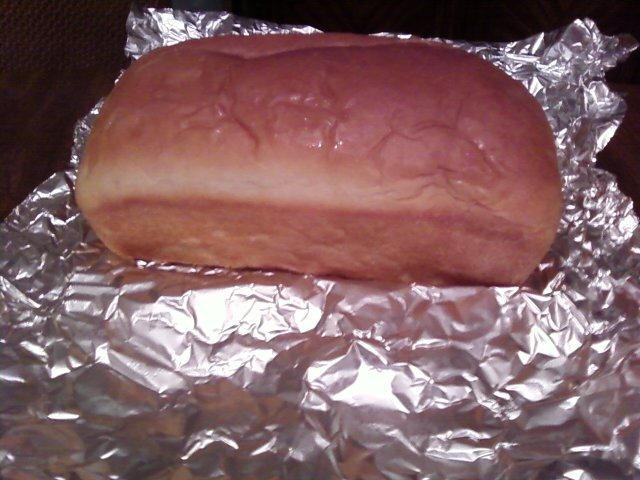 Sweet Thing said she would give the bread to them when they returned, but the lady insisted we keep this loaf. 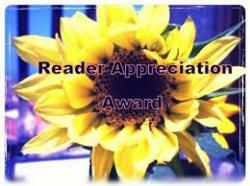 Sweet Thing thanked her and remembered the big bag of turnips right there on the porch. The lady said she loved turnips and they exchanged recipes while they were talking. So, we got a fresh loaf of bread in exchange for some excess turnips from our garden, a good deal for everybody! In another effort to find uses for turnips, Sweet Thing cooked a turnip pie. She fixes a pie with apples, raisins, caramel sauce, dark rum, and maple syrup baked in a graham cracker crust. 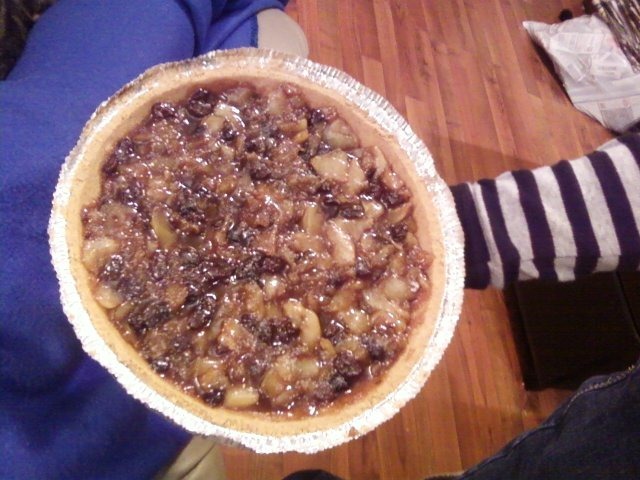 Only this time she substituted turnips instead of apples and the pie was delicious. 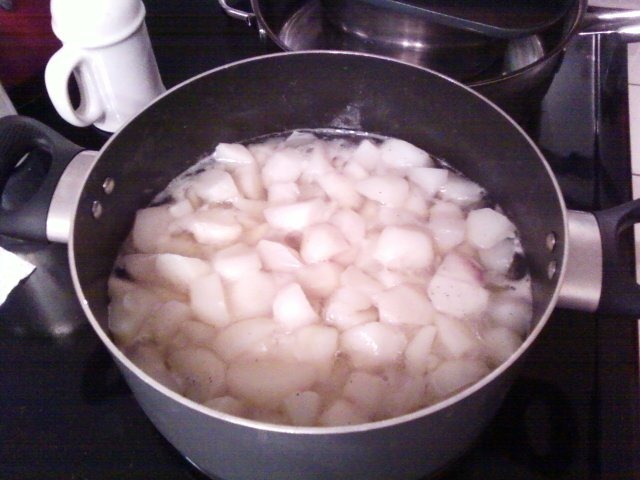 Apparently, you can substitute turnips for potatoes in many recipes and they will do just fine. Oh, and last week she sliced some of them wafer thin, sprinkled them with salt and pepper then baked them in the oven like potato chips. They didn’t get crisp like potato chips, but they sure were tasty. Hard times a-comin’, and turnips are easy to grow, just thinking ahead. Be prepared! 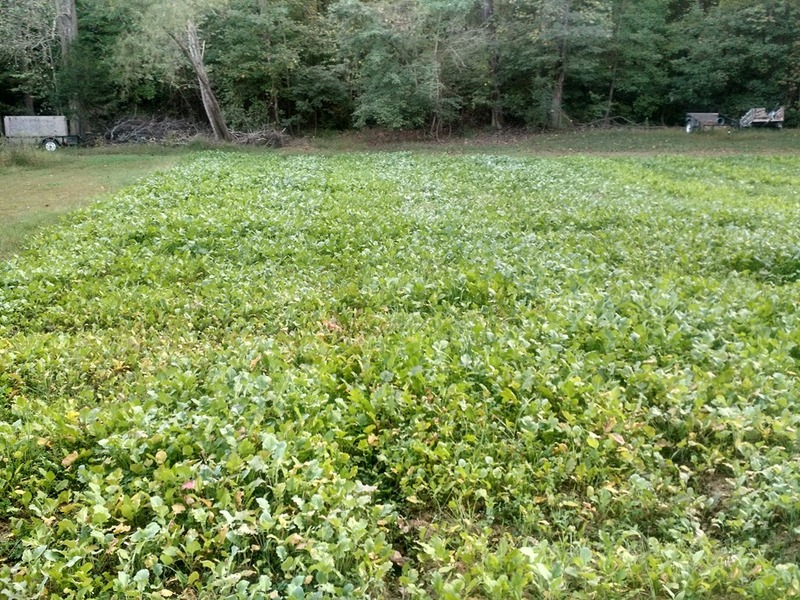 Sweet Thing is still processing lots of greens on the homestead. She has also pulled a lot of turnip roots to give to other people. She decided she would cook some for us to try. 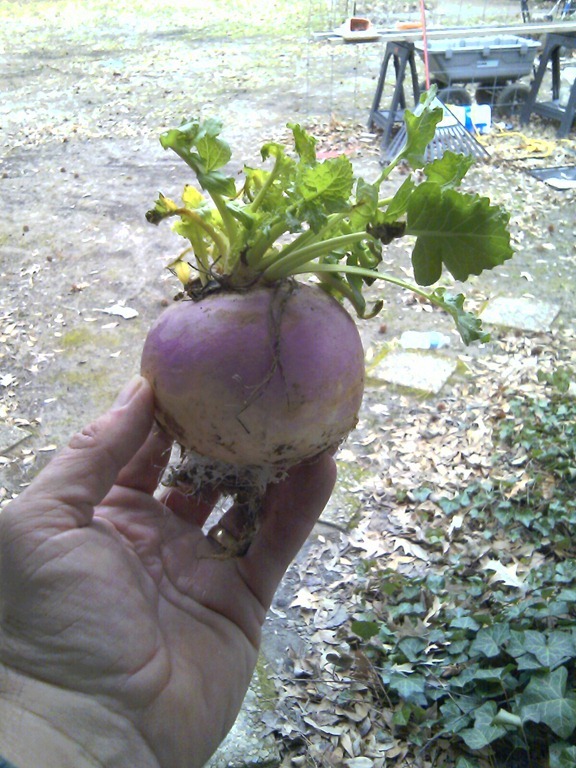 I told her not to waste her time, I don’t like turnip roots and I won’t eat them. I remember reading they serve turnip stew to people in the Russian Gulags because they are cheap and plentiful. (probably because no one else wants to eat them) She cooked up a pot of them and added some Splenda and forced convinced me to try some. You could have knocked me over with a feather, they were delicious. Next year, we will try to can some of them and see how they turn out. She is also going to slice some up wafer thin and cook them on a cookie sheet like she does with potatoes to make home-made chips. I’ll let you know how they turn out. 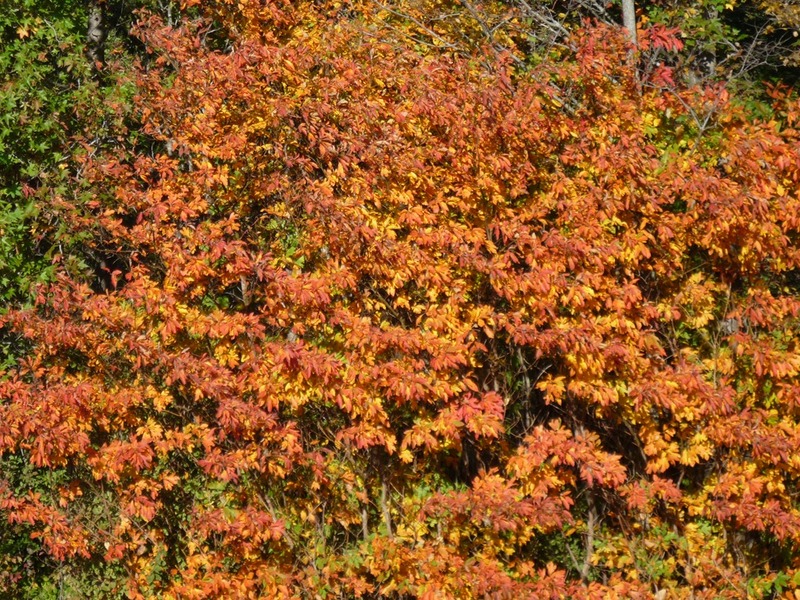 The trees are really taking on their Fall colors now, the peak should be next week. 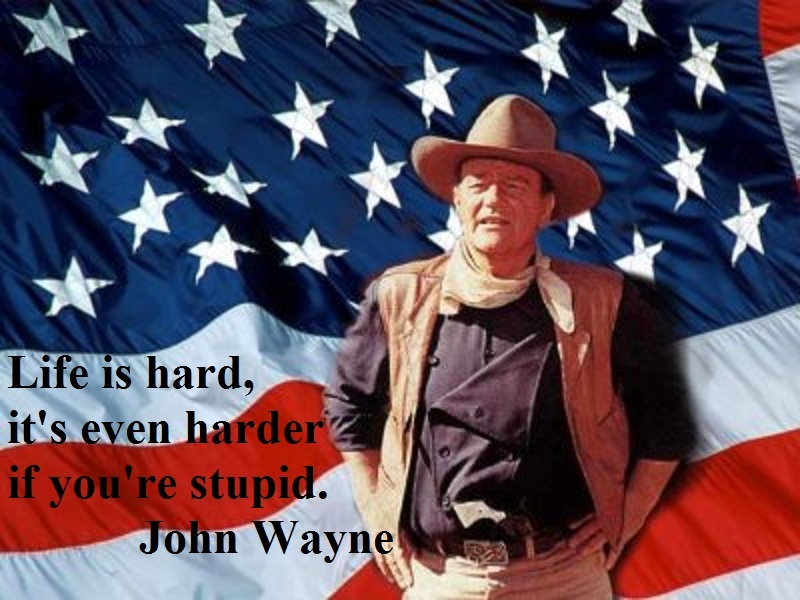 Today we are having 30 MPH winds and expecting rain tonight. That will really take a lot of these leaves off before we get to enjoy them much. Maybe the ones that turn next week will stay around longer. Get out and enjoy the scenery while you have the chance, winter will be here before you know it!